toyed with making kueh chap. there are many hawker places one can get good kueh chap in singapore, so may not be a very worthwhile venture. 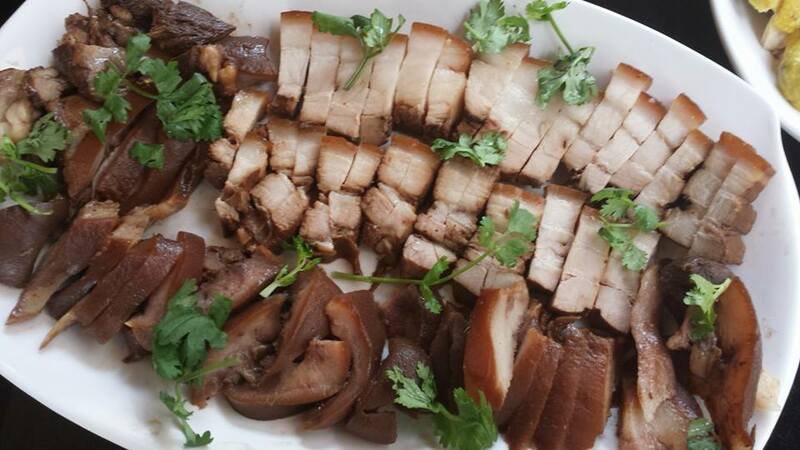 since i can use either of the (1)5hr sous vide method OR (2) cold crockpot on low method to produce just the right texture belly pork, i figure it should be quite easy to do the other items for kueh chap. i prepared my own braising sauce (see recipe), which later became the soup for the kueh chap. i did the usual preparation, scalding the belly & pig head after cleaning (i used a large kitchen knife to scrap off hair from the belly & face) to remove the scums. i then placed the pig head, belly & ear in the crockpot, added the braising sauce to cover the meat completely, then turned on low. i learned this cold crockpot method to make a good pot roast which i have applied to cook belly pork very successfully e.g. 蒜泥白肉, a spicy garlic pork. what it does is that because the temperature rises quite slowly initially over 2-3hrs depending on the amount of cold liquid, it is equivalent to mild low temperature braising, resulting in a gentler, moist & tender meat. 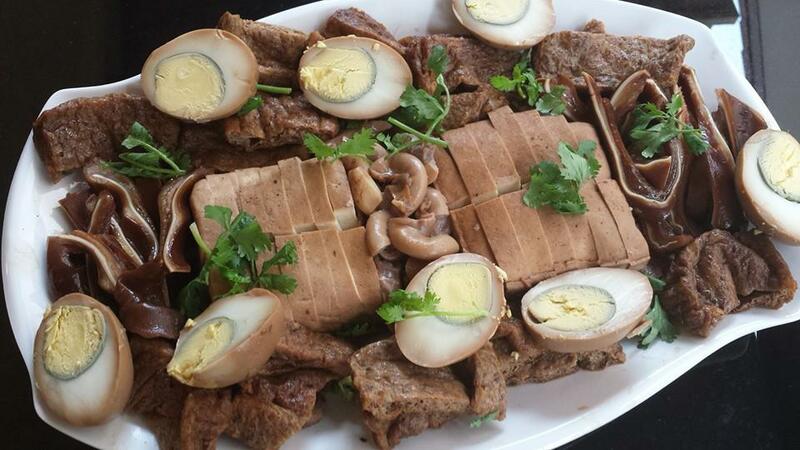 for this meat, total about 1kg, it should take about 5 to 6 hrs. you can also use a meat thermometer which i do & set at 90degC. i then set the meats aside. the braising sauce was now very tasty. 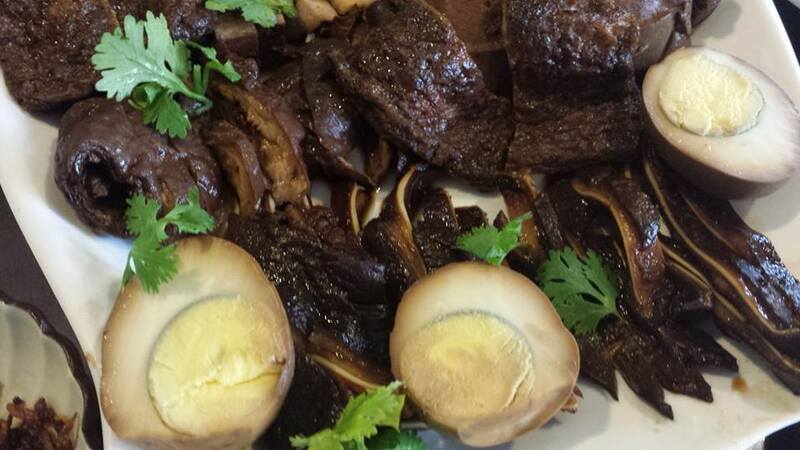 i added the tau kwa, tau pok & the shelled cooked eggs & cooked on low for 2-3hrs. when serving, garnish the dishes with chopped coriander & add fried shallots to the kueh chap. scalding the belly & pig head after cleaning (use a large kitchen knife to scrap off hair from the belly & face) to remove the scums. place pig head, belly & ear in the crockpot, add the braising sauce to cover the meat completely, then turn on low & braise for about 5 to 6 hrs. you can also use a meat thermometer. set it at 90degC. the mild low temperature braising results in a gentler, moist & tender meat. set the meats aside. 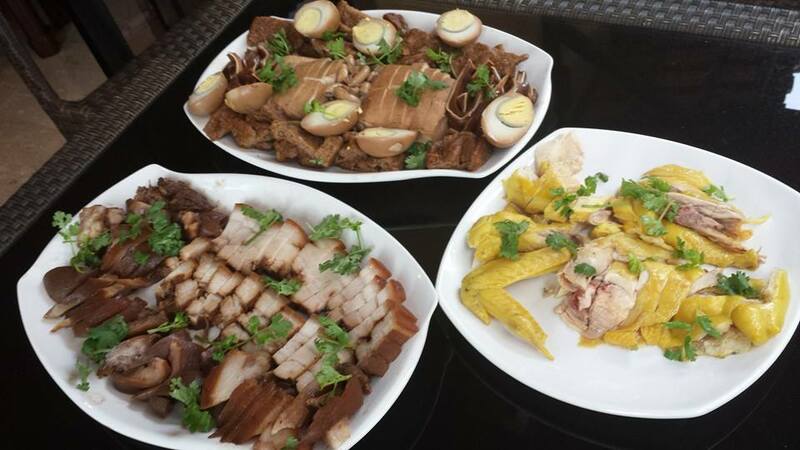 add the tau kwa, tau pok & the shelled cooked eggs & cook on low for 2-3hrs. wash birth intestine with salt (for large intestine, wash with both salt & flour), clean thoroughly & leave in a large bowl of water in the fridge overnight. take out a small amount of braising sauce & cook birth intestine over the stove on low fire for 20minutes then drop it in cold water. 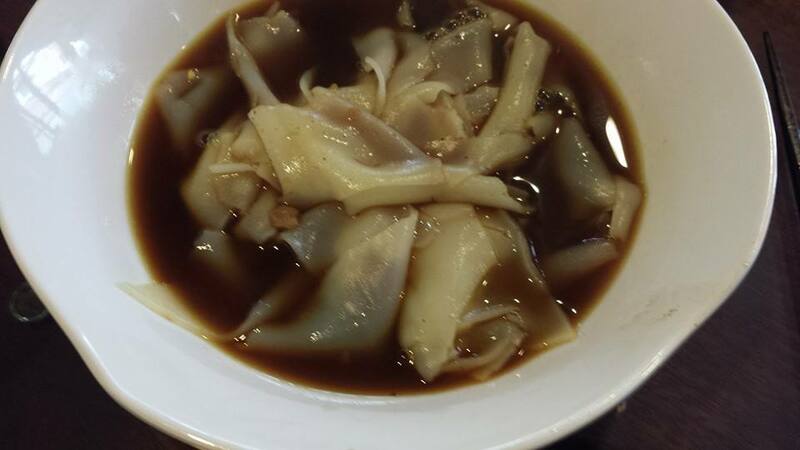 this produce a crunchy, flavourful dish & w/o the strong taste. 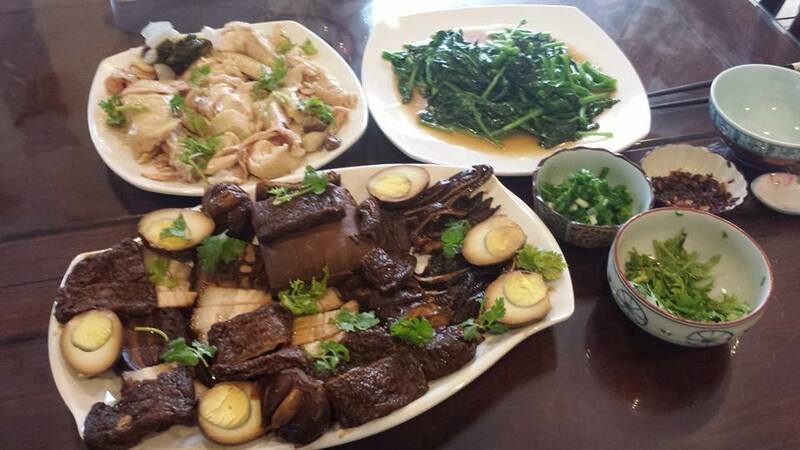 This entry was posted in Homegourmet & Gatherings, Recipes and tagged belly pork, big intestine, birth intestine, cold crockpot method, 猪耳, 猪头肉, fried shallots, kueh chap, pig ear, pig head meat. Bookmark the permalink.